SAO Paulo, 2017-Aug-21 — /Travel PR News/ — Textron Aviation Inc., a Textron Inc. (NYSE:TXT) company, and longtime channel partner TAM Aviacão Executive are marking 35 years of successfully delivering world class aircraft and support solutions to customers in the region during the 2017 Latin American Business Aviation Convention & Exhibition (LABACE) at the Congonhas Airport in Sao Paulo, Brazil. Throughout the three-day event, Textron Aviation and TAM are showcasing the business jet, turboprop and piston platforms best suited for the Latin American region, including the Cessna Citation Latitude, Cessna Citation CJ3+, Cessna Citation M2, Beechcraft King Air 350i, Cessna Grand Caravan EX and Beechcraft Baron G58. With approximately 850 Citation jets in operation throughout Latin America, Cessna Citation products continue to be the most popular choice in the region. The best-selling midsize business jet of 2016, the Cessna Citation Latitude, is on display this week at LABACE. Since entering into service in August of 2015, the nine-passenger business jet has experienced tremendous success with 83 aircraft delivered around the globe. The Latitude, with a maximum range of 2,850 nautical miles (5,278 km) and a best-in-class four-passenger range of 2,700 nautical miles (5,000 km) at high-speed cruise, is set apart from the competition by its combination of comfort and efficiency. 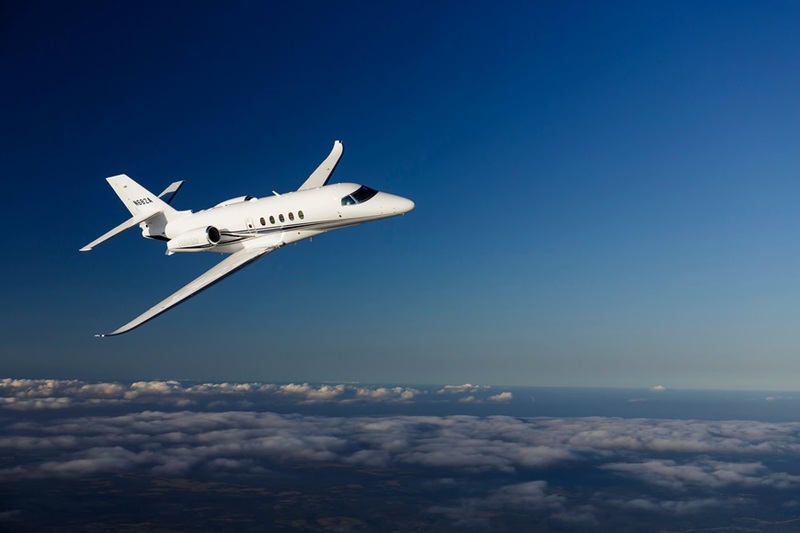 Also on display and representing the best-selling light jet product line will be the company’s Cessna Citation CJ3+and Cessna Citation M2. The Cessna CJ family of business jets has evolved to offer a range of capabilities, systems and options unmatched in its class. The single-pilot Citation CJ3+ offers best-in-class acquisition and operating costs, seating for nine passengers, up to 1,000 lbs. of baggage capacity and a maximum range of 2,040 nautical miles. As the leading entry-level jet perfect for corporate, charter or private use, the M2 features a redesigned interior with excellent in-cabin technologies, updated touch-controlled avionics suited for a single pilot and two powerful Williams FJ44 engines, facilitating cruising speed of up to 400 knots. Textron Aviation continues to lead the turboprop segment with more than 1,700 Textron Aviation turboprop aircraft operating throughout Latin America. With more than 1,200 operating throughout the region, the King Air continues to be the turboprop of choice across Latin America. The King Air 350i will be on display at LABACE, featuring the Pro Line Fusion avionics system, which provides pilots full touch-screen simplicity. Also on display for the first time in Brazil will be the Garmin G1000 NXi equipped Cessna Caravan EX , a platform engineered for challenging missions, high payloads and short, rough runways, while providing single-engine economy and simplicity. The new production of the G1000 NXi integrated flight deck for the Caravan platform brings customers the latest in performance enhancements. Features include significant flight display modernization with faster processing times, improved graphics rendering and enhanced readability with LED back-lighting. The company has received Federal Aviation Administration (FAA) and European Aviation Safety Agency (EASA) certification for the Garmin G1000 NXi-equipped Caravan platform, allowing deliveries to commence in the U.S. and Europe. Garmin G1000 NXi for the Caravan platform is expected to achieve certification in Brazil this year. Leveraging more than five decades of turboprop expertise and leadership, Textron Aviation is continuing to progress with the development of the new high-performance Cessna Denali single-engine turboprop. Program engineers have begun fabrication of the first static and fatigue test articles, as the aircraft moves toward redefining the segment with best-in-class capability, pilot interface, cabin experience and ownership costs. The clean-sheet Denali will be powered by GE’s all new advanced turboprop engine and will offer single-lever power and propeller control to ease pilot workload. The program is on target to achieve first flight in 2018. Supporting the largest fleet of aircraft throughout Latin America, Textron Aviation maintains a factory presence in the region through six field service representatives dedicated to providing maintenance, inspections, parts, repairs, refurbishments and other specialized services for the entire range of Textron Aviation products. With a robust network of 32 authorized service facilities (ASF), the company continues to bolster support capabilities throughout the region. Most recently, TAM’s Belo Horizonte, Brazil, facility received line maintenance approval for the King Air series, and is expected to receive full ASF approval for King Air support in the coming weeks. TAM has been an authorized partner for Cessna business jet, turboprop and piston aircraft sales and service throughout Brazil since 1982 and offers integrated services such as aircraft maintenance, fixed based operations, aircraft management and aircraft charter. In 2015 TAM’s Jundai, Brazil, facility received approval as an ASF for Beechcraft King Air turboprops. Textron Aviation recently expanded 1CALL, the company’s AOG support resource, to customers operating across Central and South America. Working with regional channel partners, TAM and Central Charter de Colombia, the company is providing AOG support tailored to meet the unique needs of customers throughout the region to expedite support and minimize downtime. This entry was posted in Business, Festivals and Events, Transportation, Travel, Travel Marketing, Travel Services, Travelers and tagged aircraft platforms, LABACE, Lannie O’Bannion, TAM, Textron Aviation. Bookmark the permalink.